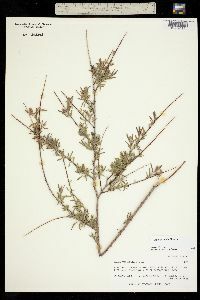 Shrubs or trees, 2-16 m. Stems: branches red-brown, yellow-brown, or gray-brown, hairy or glabrous; branchlets yellow-brown, very densely long-silky, villous, or short-silky to glabrescent. Leaves: stipules absent or rudimentary; petiole (sometimes deeply grooved adaxially) 0.2-1.5 mm, long- to short-silky adaxially; largest medial blade linear, lorate, or narrowly oblanceolate, 13-42 × 1.1-4.4 mm, 5.8-24.6 times as long as wide, base cuneate, margins flat, usually entire, rarely remotely spinulose-serrulate, apex acute to acuminate (apiculate), abaxial surface glaucous or not (sometimes obscured by hairs), densely long-silky, or villous to glabrescent, hairs appressed, straight, adaxial slightly glossy or dull, moderately densely long- or short-silky to glabrescent; proximal blade margins entire; juvenile blade yellowish green (color obscured by hairs), very densely long-silky abaxially. 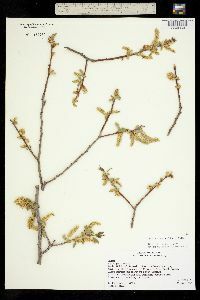 Catkins: staminate 6.5-18 × 4-7 mm, flowering branchlet 1-38(-75) mm; pistillate moderately densely or loosely flowered, slender or stout, 6-16 × 4-7 mm, flowering branchlet 8-13(-120) mm; floral bract 1.3-2.8 mm, apex acute or convex, toothed or entire (glandular-dotted), abaxially hairy throughout or proximally, hairs straight. 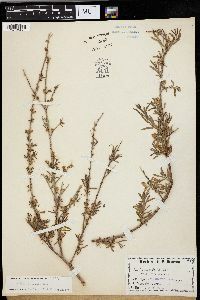 Staminate flowers: abaxial nectary 0.1-0.6 mm, adaxial nectary oblong or narrowly oblong, 0.5-1.1 mm, nectaries distinct; filaments hairy on proximal 1/2 or basally; anthers 0.4-0.7 mm. Pistillate flowers: adaxial nectary square, narrowly oblong, ovate, or oblong, 0.4-1.4 mm, longer than stipe; stipe 0-0.3 mm; ovary pyriform, long-silky or pilose, beak gradually tapering to or bulged below styles; ovules 16-26 per ovary; styles 0-0.3 mm; stigmas slenderly cylindrical, 0.4-0.6 mm. Capsules 3-6 mm. Flowering throughout year, mostly early Mar-late Jun. Silty to sandy floodplains, gravelly arroyos, dry washes; 400-2000 m; Ariz., N.Mex., Tex. 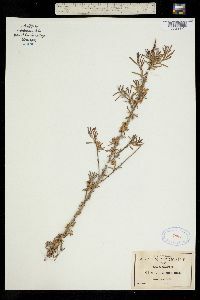 ; Mexico (Baja California, Baja California Sur, Chiapas, Chihuahua, Coahuila, Sonora). 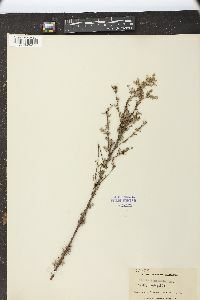 The name Salix taxifolia is used here in the sense of G. W. Argus and C. L. McJannet (1992). 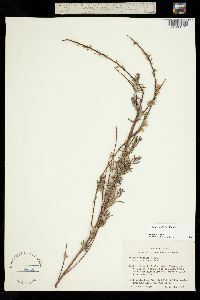 R. D. Dorn (1998) used that name instead for what Argus and McJannet called S. microphylla, and for the present species used S. exilifolia. 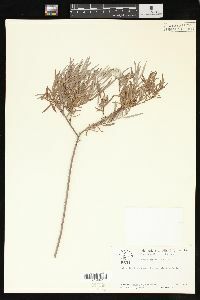 Dorn did not cite specimens of S. exilifolia, but Texas plants, possibly annotated by him, were mapped by B. L. Turner et al. (2003). 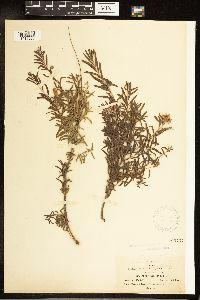 The distribution of S. taxifolia parallels that of S. thurberi Rowlee, recognized here and by Dorn as a distinct species.